Former Watford striker Jubril Adedeji has been promoted to the first team of Danish First Division side HB Koge, two months after he joined the club. The 18-year-old was released by the Hornets at the end of the 2017-2018 campaign and his decision to join the Scandinavian team has paid off. ''Jubril has an advantage in one-on-one situations, and is a talented technical player who has good dribbling skills and has good speed,'' says manager Morten Karlsen to HB Koge's website. 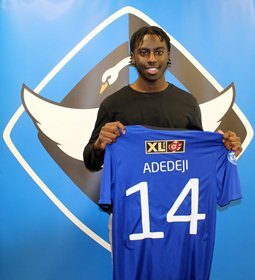 For the remainder of the 2018-2019 season, Adedeji will play with the number fourteen jersey for the first team. HB Koge occupy the seventh position in the standings with 27 points after nineteen rounds in the second-tier.